Former Premier League star Kevin-Prince Boateng has admitted he was shocked to learn of Mesut Özil's international retirement, but says he has been in the same boat as the Arsenal playmaker at times in his career. The 31-year-old midfielder, who is currently on the books with Serie A side Sassuolo, was involved in a high-profile incident back in 2013 when he lead his AC Milan side off the pitch during a friendly match against Pro Patria after being subject to racist abuse. The German-born Ghana international spoke with the United Nations shortly after, and he has since been honoured for his part in the fight against racism. After Özil criticised the DFB (German FA) and political figures for racism upon his retirement from international football, Boateng admitted that while he was shocked to see the 29-year-old walk away, he sympathises with the toll it can take on the individual. "To be honest, I was shocked, because I never expected it," Boateng told Bild. "I think that it was a stress reaction. I have been there. "I know what's it like when everyone has a go at you, when criticism is harsh, and your family is part of it. This drags you down and you can't get on with your life." Boateng has since returned to Italy following spells in Germany and Spain, where the European football journeyman has already scored three goals across all competitions this season. 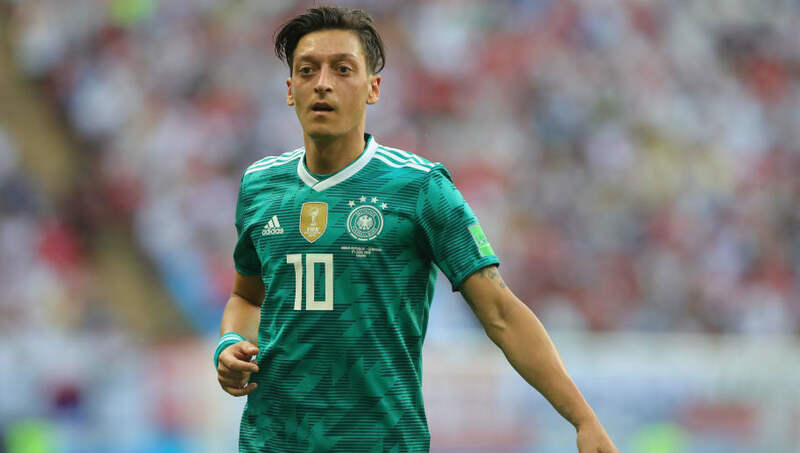 The response of a number of Özil's former international teammates has highlighted where the crux of the problem lies over these claims of racism. A number of pros have spoken out about how there isn't any racism within the team, something which Özil never mentioned, and they all completely glossed over that the Arsenal man was pointing out the problems in wider society and criticising the DFB, or more specifically its president Reinhard Grindel.